If you do not know the make of your window we can still make a bespoke blind for you, however we will need some specific measurements of your window. Made to measure Skylight blinds are easy to fit and custom made to fit onto most major skylight window manufacturers. 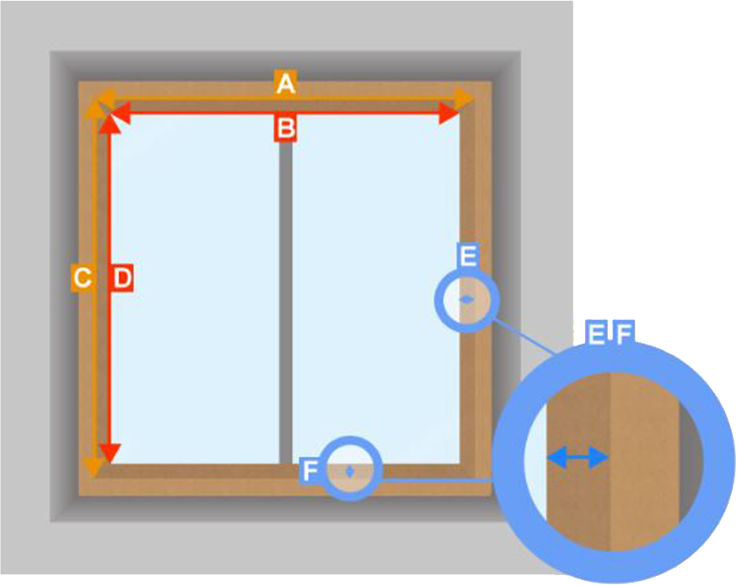 All you need to do is measure your window at the points detailed below. Once measured email the sizes to sales@skylight-blinds-direct.co.uk stating the sizes for A, B, C, D, E and F. See video above.